It’s almost summer here in the Northern Midwest. This is my favorite time of year. I love planting my garden, I love wearing open toe shoes, among other things, but it is also time to get my body back on track. A great way that I have found that helps me is doing a Detox/Cleanse. One of the things I’m passionate about is spreading my knowledge about health and wellness. I have always believed that beauty comes from with in. From the inside out. 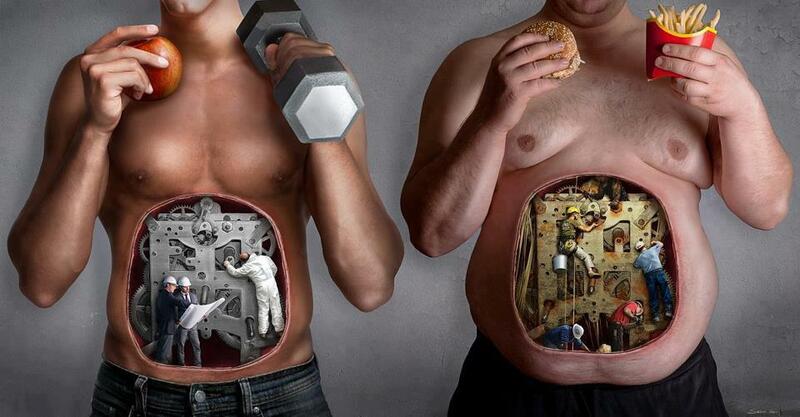 If you are not healthy, it can show. So this is what I’ve learned. So what do I mean by Detox? 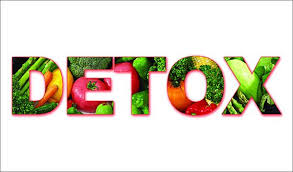 Detoxification, is the process of removing harmful substances from the body called toxins. Toxins are harmful substances that build up in our bodies over time through: the air we breathe, the foods we eat, & the stress we put our bodies under on a daily basis. The body needs to be periodically cleansed of these toxins. We are all exposed to toxins. External toxins: Food Additives, pesticides, chemicals, tobacco products, & pollution. Internal toxins: Bodily Waste, digestive Process, energy production, hormone synthesis, & stress. We live in a world filled with an abundance of toxic chemicals. Unfortunately, the over abundance of toxins builds up in our bodies causing undue stress. In many instances the liver, gallbladder, kidneys and digestive system can’t keep up with the demand placed on them. Over a period of time, if toxins are not removed, it may adversely affect your health. Like any filter, the liver and it’s supporting detox organs need to be cleansed regularly. A build up of toxins without sufficient detoxification support may lead to an increased toxic burden. Our bodies are pretty amazing, and it is made to detox naturally. Your LIVER is the #1 DETOX ORGAN in your body. However, a healthy digestive tract, gallbladder and kidneys are essential for your liver to complete its goal for effective detoxification. Genetics, diet, environment and stress can influence the proper functioning of the liver and this process and sometimes it needs some help. So, do you think you should do a detox? These things make it difficult for your natural detoxifying mechanism to get rid of the toxins that are being accumulated in your body. About 2,000 new chemicals are introduced into commerce annually in the U.S., at a rate of 7 new chemicals/day. In reality, no one is ever exposed to a single chemical, but to chemicals in variable combination and concentration. The first step to a fresh start, is a proper “detox” plan. Only once you prepare for better health, can you expect results! So now that we know that we should all detox, how do we do it? There are many ways, and with the word detox is showing up in the media everywhere right now – with promises of quick results to restore your energy, help you lose weight and regain vitality. I don’t recommend extreme detox regiments – if we really think about it, your body is already struggling to process the toxic load it has, why would you challenge it more with an extreme detox plan? I recommend avoiding colonics, coffee enemas, prolonged juice fasts, extreme chelation, hours-long saunas, colon cleanses and excessive doses of minerals or antioxidants. There are gentle and safe ways to do it. So what is my solution? 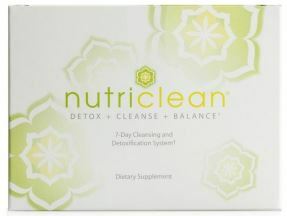 I use the NutriClean® 7-Day Cleansing and Detoxifying System. 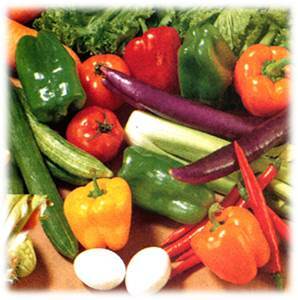 It is a “Jump Start” program meant to support the body’s normal detoxification process. It does not require extremely strict dietary limitations, but provides herbs and botanicals to promote optimal metabolism. I recommend to cleanse for 7-10 days with focused supplementation 2-4 times a year. It simultaneously cleanses the colon, small intestine AND liver by providing: a high-quality herbal release, a daily fiber supplement, & a high-quality herbal liver cleanse. To enhance the effects of the NutriClean seven-day cleanse, you should INCREASE your intake of fruits, vegetables and whole grains. Eat more natural foods and increase your exercise. You should LIMIT caffeinated beverages to one serving or cup of coffee per day. Smoking — cigarettes contain thousands of toxic chemicals. Please refrain from smoking if at all possible. Soft drinks — phosphoric acid can upset the pH balance in your body in addition to pulling much needed calcium from the bones when consumed in large quantities. Soft drinks can also be high in sugar. Hydrogenated oils — foods are hydrogenated to increase their stability and storage time, but this process increases the saturation of the fats in these foods. Margarines, spreads, cooking fats and commercially baked foods contain hydrogenated fats (or trans fats), which can increase cardiovascular risk. Things may get worse before they get better. I have found that some have a hard time eliminating some of the bad things from their diet. Some have said they felt icky for the first couple of days, especially from eliminating caffeine or alcohol. But give it a few days, you will start to feel amazing! And after a liver cleanse it’s easier to maintain a detoxifying lifestyle. That really is the goal after all! And let me know how it goes! Here are some of the detoxification benefits you may notice: Cleanse your intestinal tract and promote healthy liver function, lose weight, increase energy and sense of well-being, improve skin, & promote longevity. Oh, and if you like to read all the science about it, it’s available here. Just click on the “More” Tab, and “Science”. The statements in this blog have not been evaluated by the Food and Drug Administration (FDA). The above products are not intended to diagnose, cure or prevent any disease.